Jeannie Gray Knits: Slytherin or Slithering? 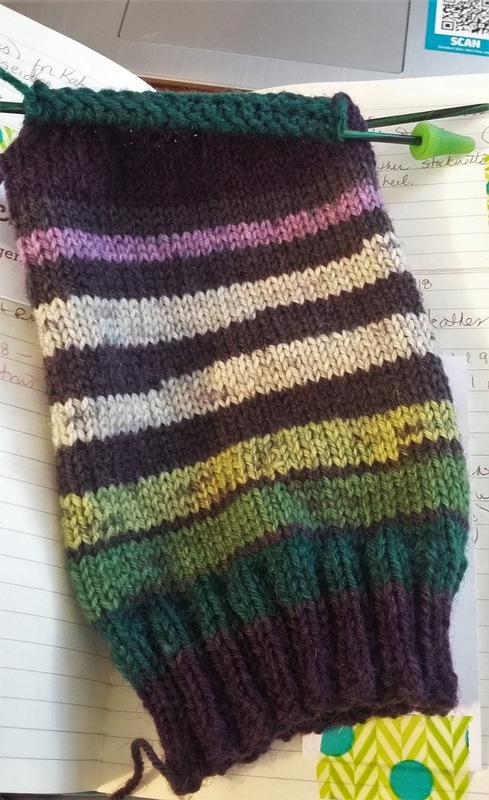 I've made a tiny bit of progress on my Slytherin sock. As you may or may not be able to see, I've started to knit the heel flap. And now, I'm sort of slithering away from the project. And really, I should be knitting the blanket now while it's cold instead of waiting and trying to finish it in August when it's 100 degrees. It just makes sense. Right? Join me over at Frontier Dreams for today's #CraftingOn link up. Your sock looks great too. Are you a Slytherin??? The first time I was sorted I was Ravenclaw. The second time I tried it, I was Slytherin. :) I'm in Gryffindor. And thanks for helping me find my mitered square mojo. I've already knit 5 or 6 more squares. Thanks! I'm very pleased with them so far. I love the colors in that sock!!! So vivid. Thank you! I can't wait to see how they finish up. The skein looked like it was 90% gray and green. But socks! Don't you need socks now and not in August? LOL, you're right! I do need socks. I knit so many pairs back in the '90's, I could probably count the number I've knit in the last 15 years on one hand. I'm in desperate need of new socks! Thanks! I'm pleased with the way it's knitting up.